Royal Enfield bicycle for sale in Spring Hill, Fla.
Royal Enfield was famous in England for its bicycles before it built motorcycles. But when the British company encountered hard times in the 1960s, the name Royal Enfield was sold off to other bicycle makers. In the United States, most of the "Royal Enfield" bicycles and tricycles we see are likely made in Japan. But here is a Royal Enfield lightweight sports bicycle for sale on CraigsList labelled "England" and advertised as "made in England." The seller, in Spring Hill, Fla., says it's in good condition, right down to its Sturmey-Archer transmission. Asking price is $325. I'm tempted, not because I need another bicycle, but just to own the "Royal Enfield England" badge, with its signature cannon. This bicycle really does appear to be "Made Like a Gun." In contrast, Royal Enfield bicycles from Asia do seem "counterfeit," as Jorge Pullin referred to them in his My Royal Enfields blog. 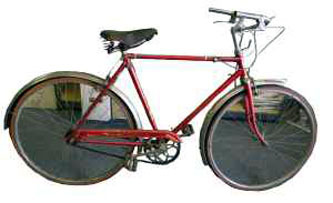 The National Cycle Museum in the UK suggested to him that Asian bicycle manufacturers utilized by Royal Enfield to supply components and even complete bicycles in its last days may have carried on with production on their own. 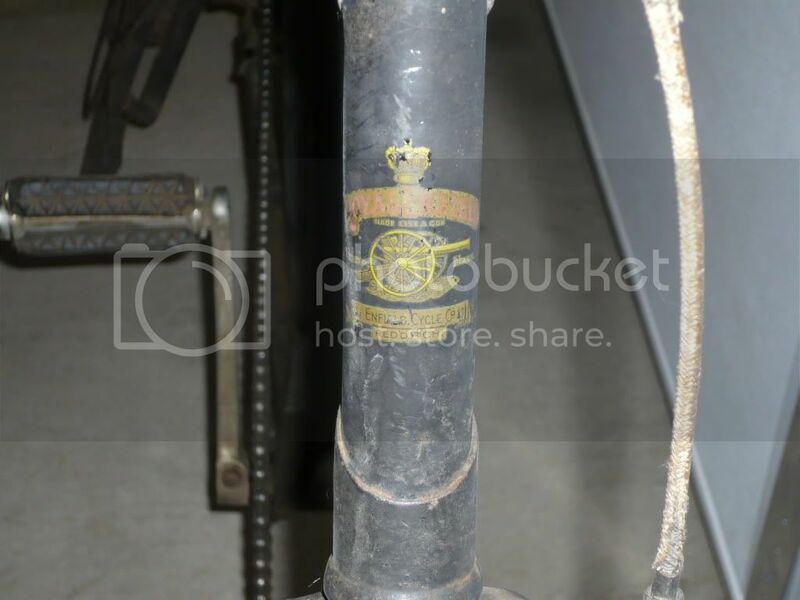 It would be interesting to know the source of these "Royal Enfield Quality Bicycle" machines, as some are badged. Are they still in production? And do they have any, even tenuous connection to Royal Enfield England? Another Enfield mystery... Royal Enfield bicycles in the good old days used to say "Royal Enfield, Redditch", not "England". I haven't seen brass badges on those, rather a decal, e.g. like this. But there aren't that many pictures with enough detail to be conclusive. Great!.. Brass Badges Manufacturer are lot out there.. SO keep modifying. Thanks.